Churchill convection stoves have gently curved side panels and top plate giving the Churchill a distinctively different look. 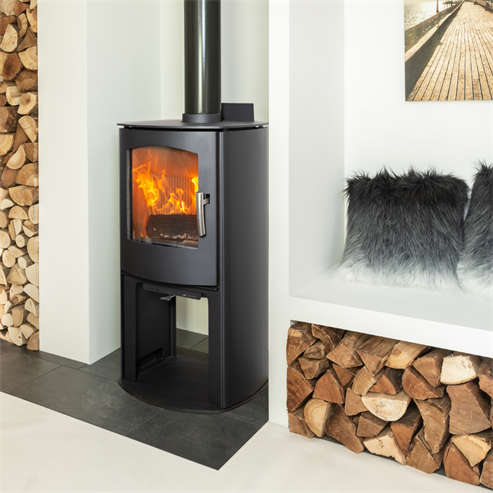 The convection Churchill gives a better distribution of heat and, therefore, heat a larger area faster than a standard radiant stove. Convection models can be placed in open plan areas as the temperature of the convection panels are cooler than on radiant stoves. 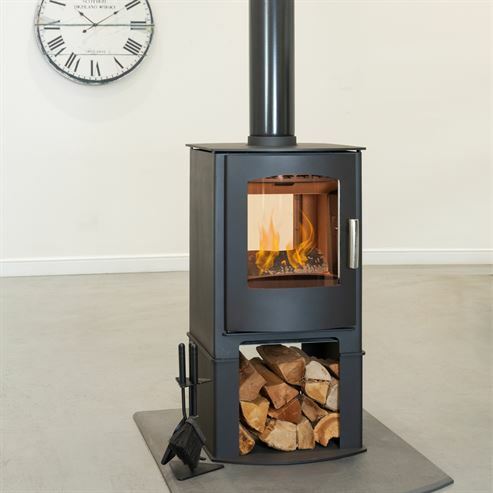 The Logstore model adds height and sophistication to this stylish stove.